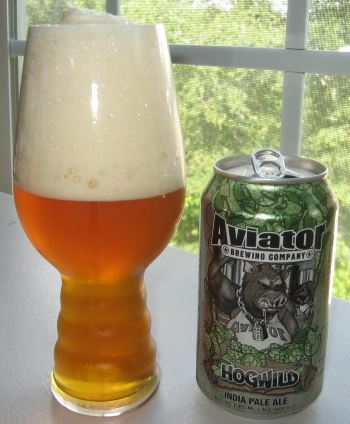 HogWild IPA is an American IPA from North Carolina’s own Aviator Brewing Company. It’s pretty standard for the style. The nose has a lot of lemon and is slightly grassy. The middle is lemony again, but with a bit of grain that builds into a bready finish with some caramel, but still some bitter citrus notes, and that citrus is still lemon. It’s a good, simple beer, without anything that makes it particularly remarkable. 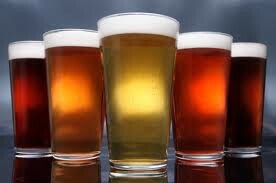 The body is of medium weight, and the alcohol level is 6.7% ABV. This entry was posted in Reviews and tagged Ale, American IPA, Aviator Brewing Company, IPA, North Carolina on August 22, 2014 by Xander.